When you invest in a Mac, you’re buying a piece of technology that will be at the heart of your personal and professional lives. From archiving and storing your precious photos with friends and family to staying ahead of the curve at work, you’ll spend a lot of time with your device. While they are certainly top-of-the-line machines, Macs are not infallible. 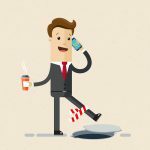 All of your files need to be protected – all it takes is a knocked over coffee mug and things could go disastrously wrong. That’s why it’s imperative to have a backup system in place, to make sure that you’ll never lose all of those precious files and documents. 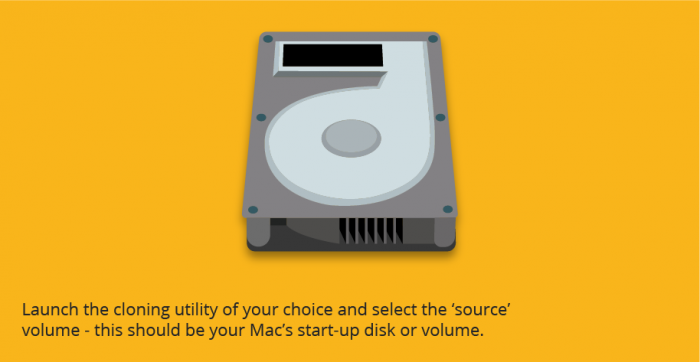 Fortunately, it’s fairly simple to set up an automated system to back up your Mac. This means that once it’s up and running, you’ll rarely have to go into the system again – unless it’s to restore a back up and retrieve your files. 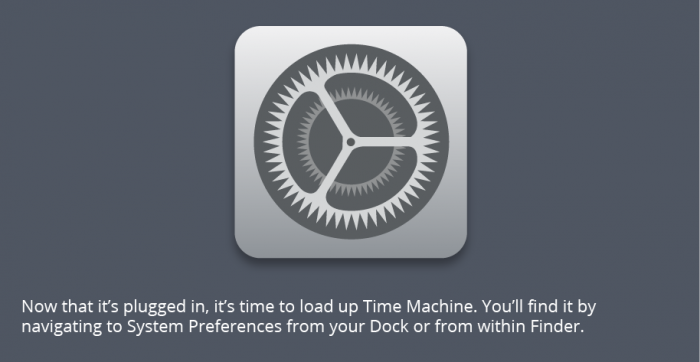 If your Mac is running on OS X 10.5 or higher, it will come pre-packaged with Time Machine. 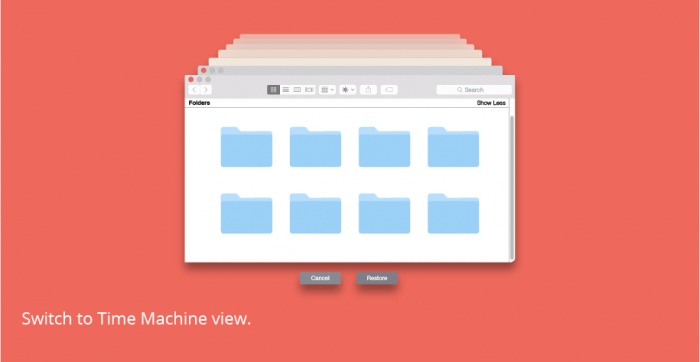 Time Machine is Apple’s built-in back up tool, that allows your Mac to automatically save copies of all your system files, applications, documents and data. As storage is always an issue on any device, Time Machine cleverly deletes old versions of those same files, to make way for the most recent iterations. 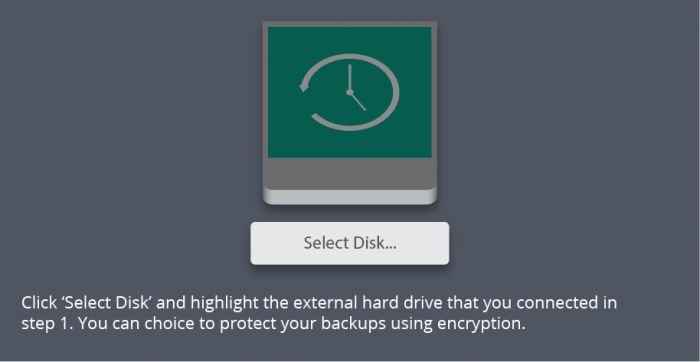 To use Time Machine, you will need a physical external hard drive on which to securely save your back up files. 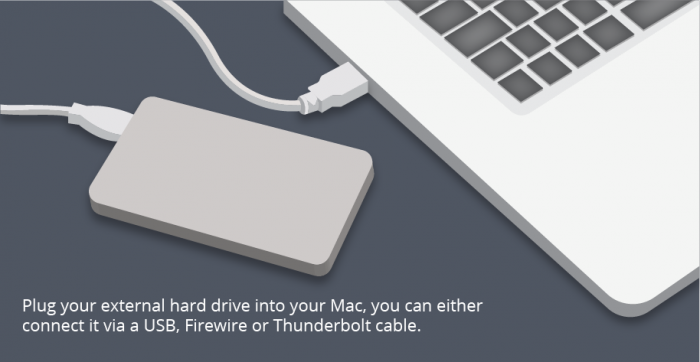 Plug your external hard drive into your Mac. 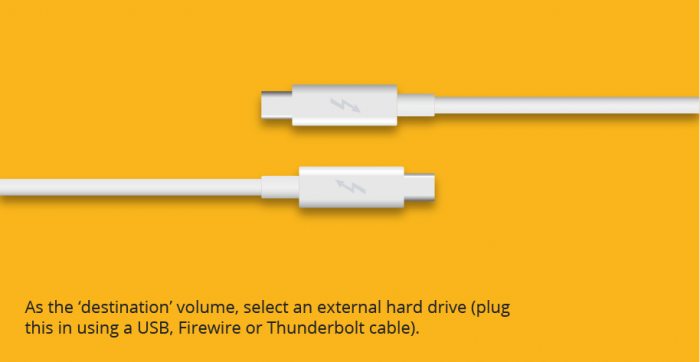 Even if your external hard drive has a nifty wi-fi functionality, it’s still much faster to connect it via a USB, Firewire or Thunderbolt cable. Now that it’s plugged in, it’s time to load up Time Machine. You’ll find it by navigating to System Preferences from your Dock or from within Finder, and clicking on Time Machine. Here, toggle the switch to ‘On’ in the Time Machine menu. Click ‘Select Disk’ and highlight the external hard drive that you connected in step 1. From here, you’ll have a choice whether you want to protect your backups using encryption – in other words, setting a password for access and overwrite permissions. 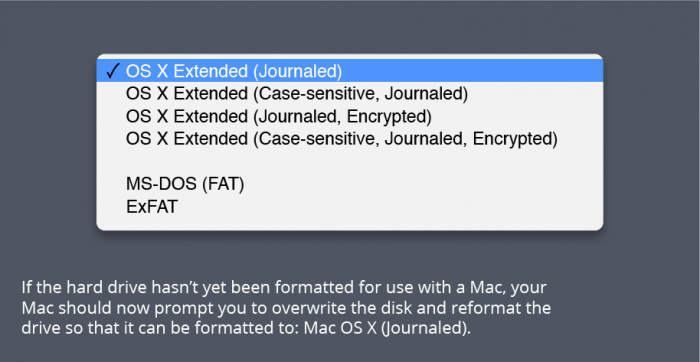 If the hard drive hasn’t yet been formatted for use with a Mac, your Mac should now prompt you to overwrite the disk and reformat the drive so that it can be formatted to: Mac OS X (Journaled). This makes it compatible with your Mac, and you should go ahead and do this – but know that this will erase all files currently on your external hard drive. Customise your backup. 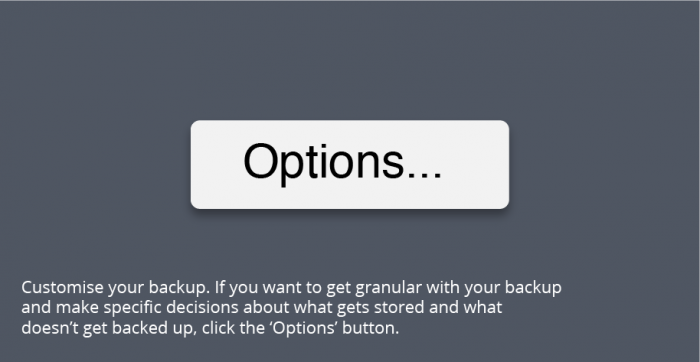 If you want to get granular with your backup and make specific decisions about what gets stored and what doesn’t get backed up, click the ‘Options’ button. From here, you’ll be able to include or exclude specific volumes and system files from the backups that Time Machine will make. Let it run. 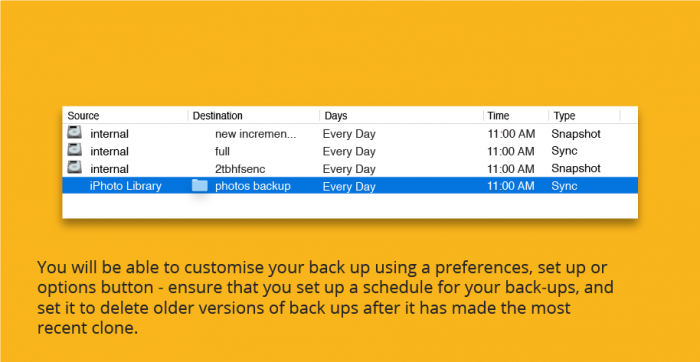 That’s it – now your back ups will happen automatically every hour, on the hour. 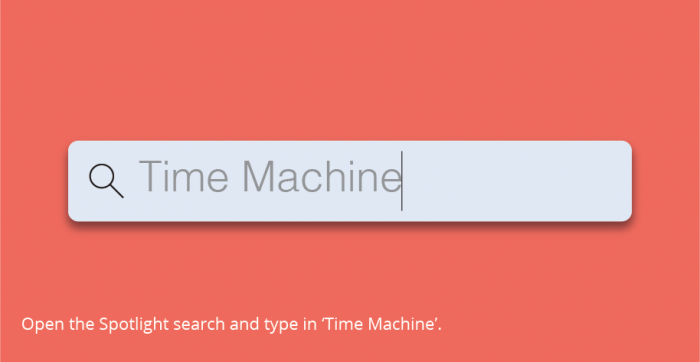 Time Machine does all of the work in the background – so you can forget about it until your time of need. Just make sure your hard drive gets plugged in regularly enough for it to update the backups. Time Machine stores hourly backups for the last day, daily backups for the past month, and weekly backups for all previous months. 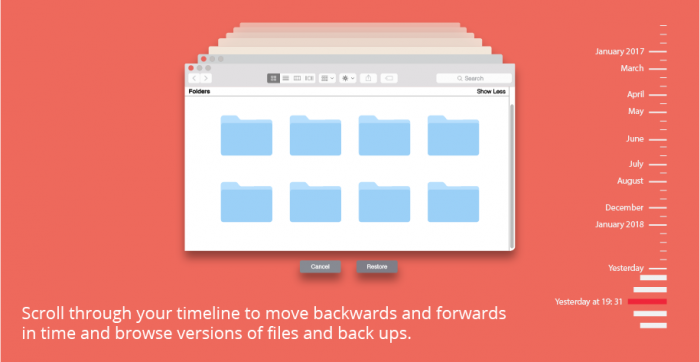 This means you can really dig deep into specific periods of time to restore older versions of files, or different levels of functionality of your Mac device. 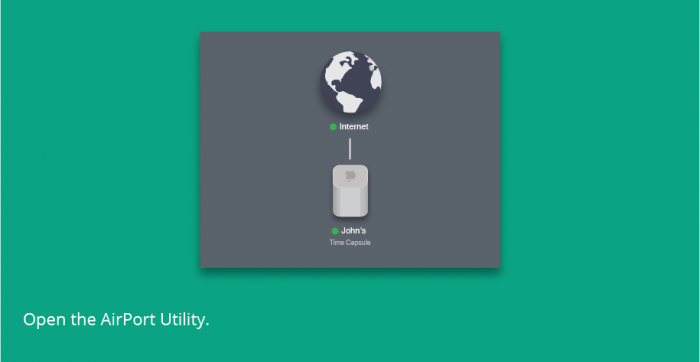 AirPort Time Capsule is another system created by Apple to help you keep up-to-the-minute backup files. 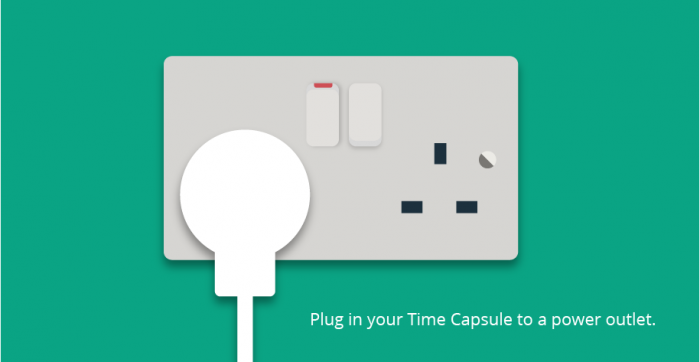 It works hand-in-hand with Time Machine to back up your data wirelessly – but using Time Capsule means you won’t need to buy that external hard drive, nor keep it plugged in. AirPort Time Capsule is essentially a very fast Wi-Fi base station, combined with an external hard drive and back up device. 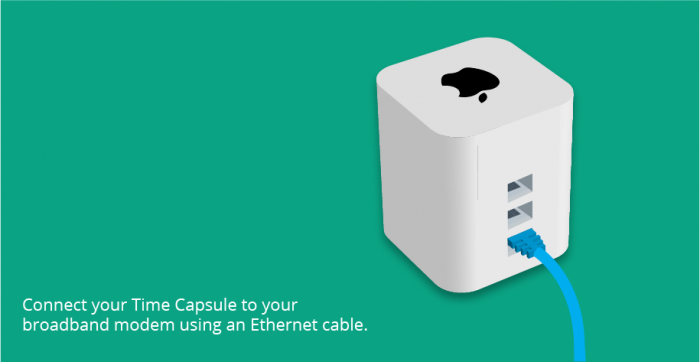 To set up AirPort Time Capsule, first you’ll have to buy the device and set it up as your primary Wi-Fi base station, instead of simply connecting it to your current base station. 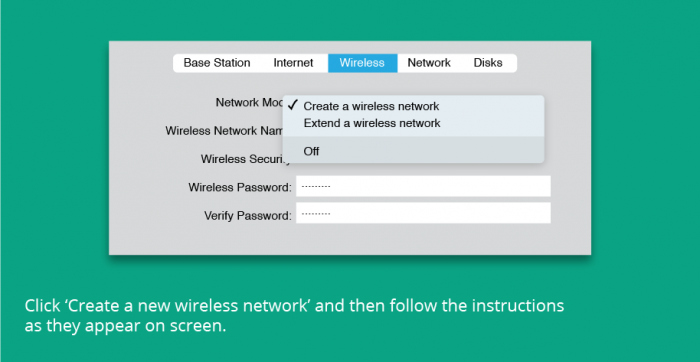 Click ‘Create a new wireless network’ and then follow the instructions as they appear on screen. It sounds simple because it is. 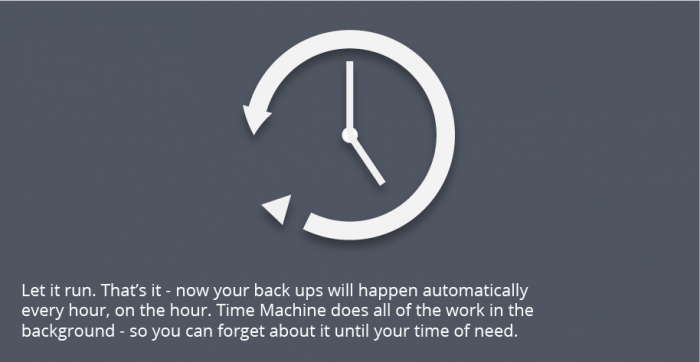 Now, in tandem with your on-board Time Machine setup in section one, you’ll have a seamless, automated back up system in place for your Mac. 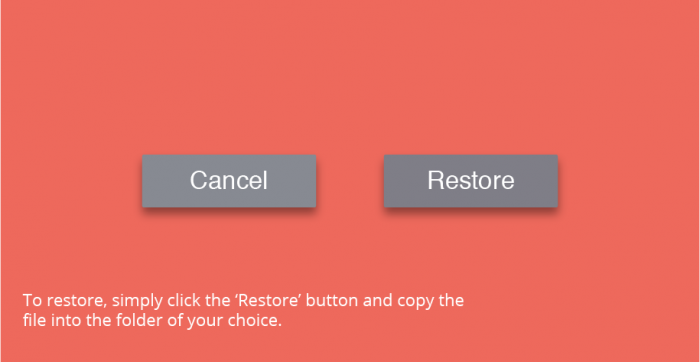 This method allows you to pick and choose what files and systems to restore. If you’d like to restore your entire system using the latest versions of all the files you have stored, you’ll have to restart your Mac. 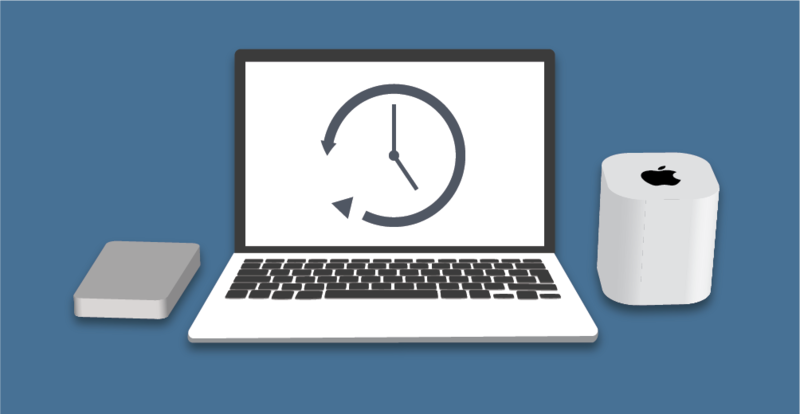 Your Mac’s Time Machine and Time Capsule are fantastic for backing up your important files and documents – but they’re not ideal if your system is corrupted entirely. In fact, it would be hard to access a back up if your entire system were to break down. For this reason, it’s important to make a Bootable backup of your entire Mac system. This is essentially an exact duplicate of the entirety of your system – called a clone. With a clone, you’ll have a bootable version of your drive. Using this clone, you’ll be able to boot up and carry on where you left off if your Mac ever stops starting up. 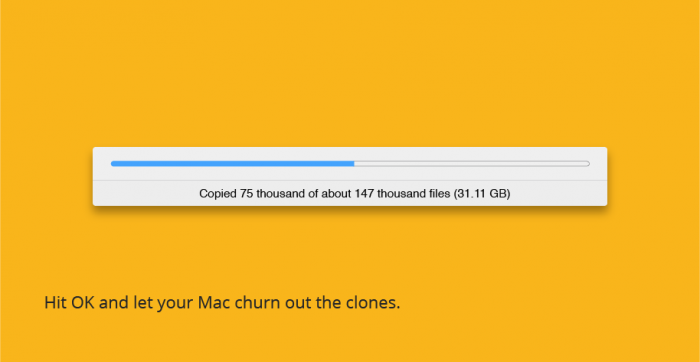 Using Copy Cloner and Mac Backup Guru 2.0, you can set up an automated cloning system. This means that, much like Time Capsule and Time Machine, once the system is set up, it will automatically make clones of your entire system in the background. 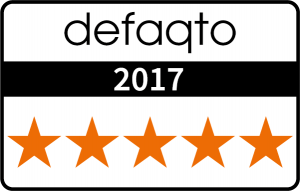 There are a number of other third party programmes and utilities that you can use for this, but these two in particular are tried and tested and have a good reputation for ease of use and reliability. You should be able to select ‘Back-up all files’ – ensure that you are backing up your entire system, and not just user files. Hit OK and let your Mac churn out the clones. 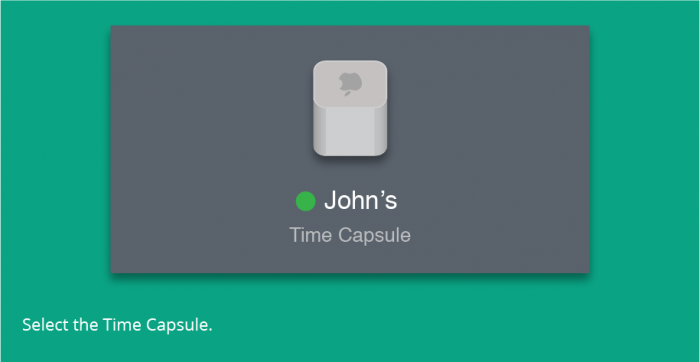 Both the Time Machine and Time Capsule are excellent ways to automate your back ups and keep your files safe. However, the unexpected can always happen – both of these methods hinge on either the external hard drive you’re using or the Time Capsule itself being safe. 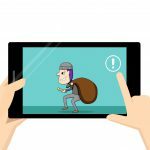 If your home is robbed and both your Time Capsule or Hard Drive and your Mac device are stolen, you’ll be left without a laptop/computer and without a back up. Local back ups are great to protect your files if something happens to just your Mac laptop – but not for situations like theft, natural disasters like flooding, or even a house fire. For this reason, it’s important to have external back ups that are stored either in a physical location that’s nowhere near your other devices, or stored on the cloud. For backing up files, there are a number of cloud-based solutions that are worth investing in. Dropbox in particular can be set-up to auto update files and make a copy of all your current files in the cloud – so if your laptop and your external hard drive and your Time Capsule were to explode tomorrow, you’d still be able to access the documents and files you were working on today on any other device with an internet connection. Another solution is Google Drive, or Apple’s own iCloud. 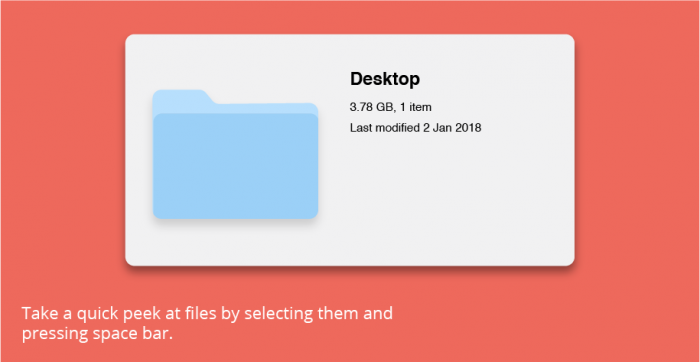 You can automate these to back up files rather than clones of your entire system, but they’re worth investigating and it’s certainly worth choosing one to store all your important documents and files on. Macs are powerful machines, but like any other device, they are vulnerable to accidents and unforeseen damage to internal hardware. 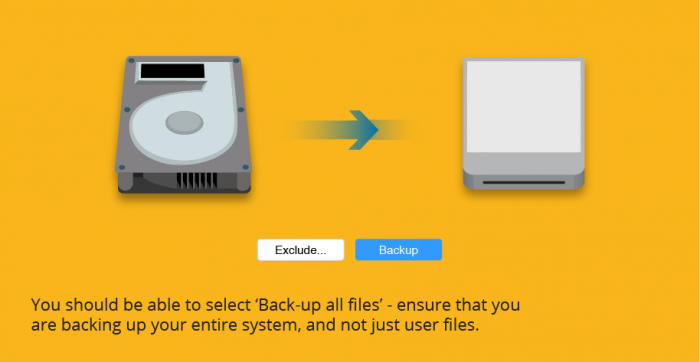 You can protect yourself by making sure you regularly back up your mac – and to make sure you never forget, simply automate the backups and only think about it when you have to. Backing up your files and making clones of your system can protect the hard work and effort you’ve put into your work and personal documents – but it won’t bring back your precious device if the worst happens to it. It’s worth investing in insurance for your device, to make sure that you’ll always have a working laptop to restore your files to. Previous PostPrevious Samsung Vs iPhone: Where Do You Get Best Value For Money?